I’m a big fan of using Goodreads to track what I’m reading which makes rounding up some quickie book reviews super simple. Here are three of the books I’ve read recently in the hope that you find something you might want to pick up as well. 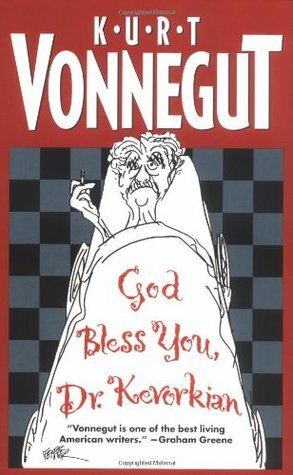 God Bless You, Dr. Kevorkian was my second foray into some Vonnegut and I was not disappointed the second time around. This very short compilation (only 80 pages long) has Vonnegut’s original 90-second imagined interviews with famous denizens of the afterlife that originally aired on New York public radio. You’ll fly through these in no time and probably left both amused, bemused… and cmused? That’s definitely not a word. His fictional accounts of controlled near-death experiences allows him to speak with the likes of Sir Isaac Newton, Adolf Hitler, James Earl Ray, and Shakespeare. The whole set is punchy, hilarious at times, and worth the short amount of time it takes to read. I follow a boat-load of YouTubers and if you do as well (or even if you don’t), you probably know who Hannah Hart of My Drunk Kitchen fame is. You’ll see her a lot with Grace Helbig (who now has her own show on E! and her own book), and Mamrie Hart, who also has a book out, of course. 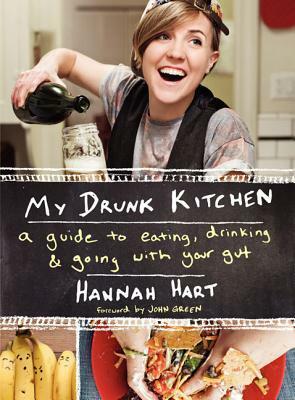 Hannah is completely charismatic which makes My Drunk Kitchen easy reading in general. You’ll get some recipes in pseudo-drunken and silly fashion, but nobody’s really there to learn to cook. 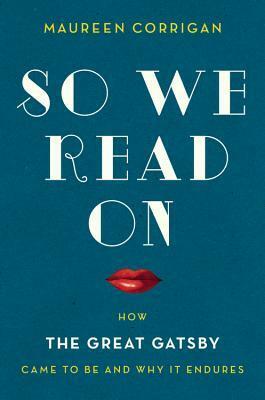 You’re reading it for some light comedy and a few life revelations from someone who’s had her share of experiences. “You think that a delicious jelly snack is ever crippled by self-doubt? Nope. And you shouldn’t be either.” Yep, that’s pretty much what it’s like. Hannah is better in her original YouTube form, but this was an easy and fun read that fans will probably like. My favorite book EVER is a cliche and I don’t care: The Great Gatsby. This lit-crit study by Maureen Corrigan (of Fresh Air), So We Read On, is meant for this kind of fan. It will also convince you to re-read the original text just to see all the nuances you missed the first time around. Because admit it, if you read it in high school at all, that was probably the last time you read it, right? I guarantee that most people love it a whole lot more on second glance in their adulthood. But I won’t beat that horse too much. If you’re already a fan of Gatsby and Co., this should prove to be an addictive look into Fitzgerald’s life and motivations, and a very deconstructed tour of the book and why it remains so popular many decades later. Yesssss! A girl of my own heart!